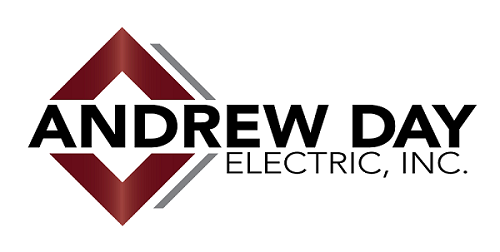 About Andrew Day Electric, Inc.
Andrew Day Electric, Inc. has been a respected and trusted electrical expert in residential remodeling, service, and repair for over 22 years. This trust has been earned by their commitment to work of high quality coupled with superior customer service. Andy is a problem solver who enjoys collaborating with homeowners. Timbre’s gift is superb customer service. Homeowner, general contractor, builder, landscaper, decorator, designer, architect, etc. Coordination of permits, inspections and power company involvement when required. Seventy-five percent of their business comes from repeat clients or word-of-mouth recommendations from those clients…they value and keep relationships! Check out more customer comments by going to Testimonials. Several of their general contractor partners have relied on them exclusively for electrical work for many years. It is no wonder, since Andrew Day Electric is an A+ Angie’s List Rated contractor, winner of the 2014 Angie’s List Super Service Award, and a Chamber of Commerce member. Do you need a panel box upgrade? Reworked kitchen or task lighting? Wiring for a remodel or addition? A whole house wired during new construction? Any electrical job, no matter the size, will be handled with the same attention to expertise, pride, and detail. Be sure to request a free and written estimate.